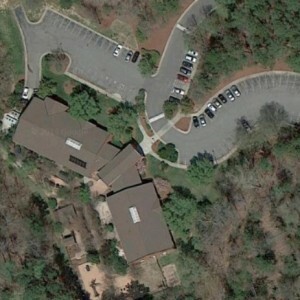 Funded by NCSU College of Design Strategic Research Funds, this pilot study is to investigate how building design and landscape diversity impact indoor biodiversity of microbial communities in schools. Funded by NCSU RISF grant (2014-2015), this study is to investigate how building design and landscape diversity impact indoor microorganisms in childcare facilities. Funded by NCSU RISF grant (2011-2012), this project is to develop a precast concrete flooring system integrated with under-floor air distribution for reducing floor-to-floor height in multi-story commercial buildings. 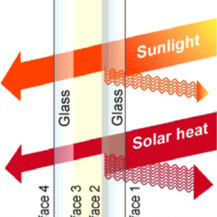 In collaboration with Sage Glass, this project is to optimize the existing electrochromic glazing system by incorporating interior lightshelves to maximize daylight penetration and reduce glare. An integrated roofing system incorporating dynamically adjustable, remote shading elements, structure, HVAC and electric lighting is currently under investigation by the research team. 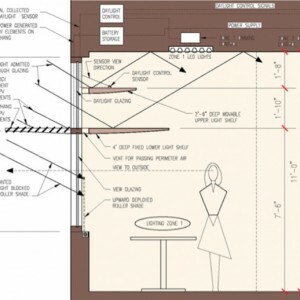 A Multi-Tier Dynamic Light Shelf (MTDLS) is proposed in this project to address the seasonal changes of solar angles and to maximize daylight and view through the daylight glazing. Funded by College of Design Strategic Funds, an IDMP Research Grade station (complies with CIE108-1994) was established to collect daylight resources and other climate data for a full-year period in Raleigh, North Carolina. 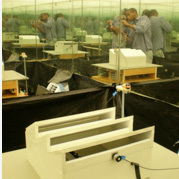 Funded by the NCSU FRPD grant, a simple and low-cost mirror-box artificial sky was developed and installed at the Daylighting Research Site. The artificial sky has a brightness distribution that closely approximates to the standard overcast sky. 1/6 dome Scanning Sky Simulator for simulating all sky conditions. 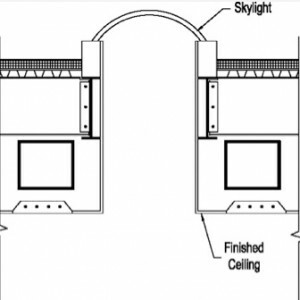 Funded by the NCSU FRPD grant, a 1/6-dome Scanning Sky Simulator was established and evaluated in this project as a Climate-Based Daylight Modeling tool for predicting daylight quantity in buildings on an annual basis. As a daylighting performance indicator, Coefficient of Utilization was examined in this study in terms of its effectiveness in predicting climate-based daylight quantity in buildings. A simulation method powered by DIVA is developed to assess daylit spaces for the new LEED v.4 Daylight Credit. The method involves both point-in-time and annual simulation procedures. Funded by a grant provided by MPlus in China, this project proposes a research collaboration on sustainable urban design theories and practice between MPlus and the School of Architecture in NCSU. 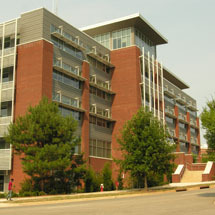 Dr. Place worked with Willard-Ferm Architects to design the five-story office building. 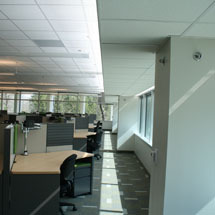 Exterior overhangs block out excess sunlight, while interior light shelves help reduce glare and spread light among the offices. Two wall-based daylighting systems, optical louver and lightshelf, were evaluated for this 6-story, 150,000 SF office building (Architect: Hager Smith Design). 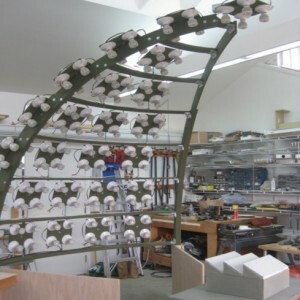 The lightshelf, for its optimal performances, was selected for the project. 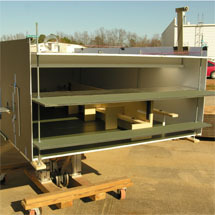 A lightshelf system was designed for this high-rise public safety building located in downtown Raleigh, North Carolina. 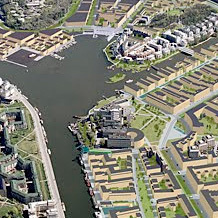 Both physical model testing and computer simulation were used to optimize the design.